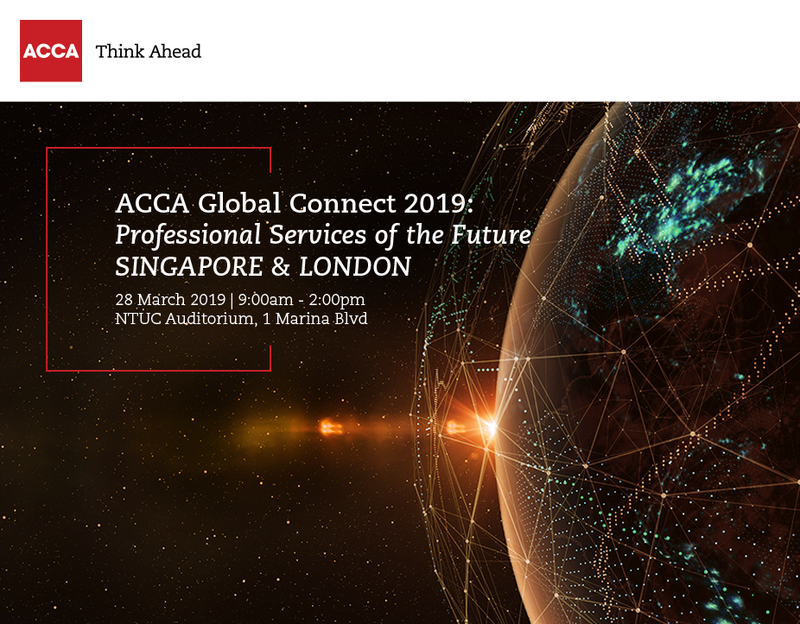 The ACCA Global Connect will explore the roles and collaborative opportunities of the financial, legal and other professional services sectors in the development of Singapore and London as economic hubs; and regional gateways into the ASEAN region and Europe respectively. It will explore and identify the many opportunities available for banking and financial services, accounting and legal SMPs (Small & Medium Practices) in Singapore and London to work together on cross-border opportunities, and share best practices. The work and rewards from joint financial, legal and accounting activities covers a wide spectrum of activities; from financing regional infrastructural projects, to restructuring of enterprises, risk management, corporate governance, and corporate work - the list goes on. This event will also provide a platform to share best practices around business models and the use of digital platforms. ACCA Global Connect brings together thought leaders, policy makers and trade professionals from the UK and Singapore government, businesses & professional accountancy to look at how deepening and diversifying our international connections, a key strategic objective recommended by Singapore's Committee on the Future Economy, can create Professional Services of the Future against a backdrop of the ASEAN region and Europe. Register now to enjoy the Early Bird Rates for the Global Connect! ACCA Members attending Global Connect will earn 3.5 CPD hours. Real connections with thought leaders and policy makers who are shaping the future of professional services.